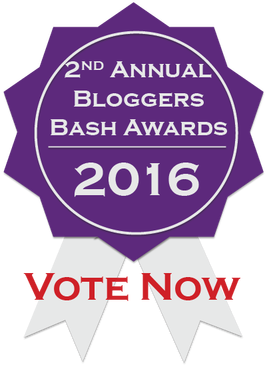 Voting has opened for the Bloggers Bash Awards 2016 - and A Bad Witch's Blog has been nominated in the Hidden Gem category. This is the second year the awards have run. Organiser Sacha Black intends to make them an annual event in which people can vote for their favourite blogs. Categories are Funniest Blogger, Best Book Review Blog, Best Dressed Blog, Best Newcomer, Most Inspirational Blog, Hidden Gem, Services to Bloggers, Most Informative Blog, Best Pal and Best Overall Blog.